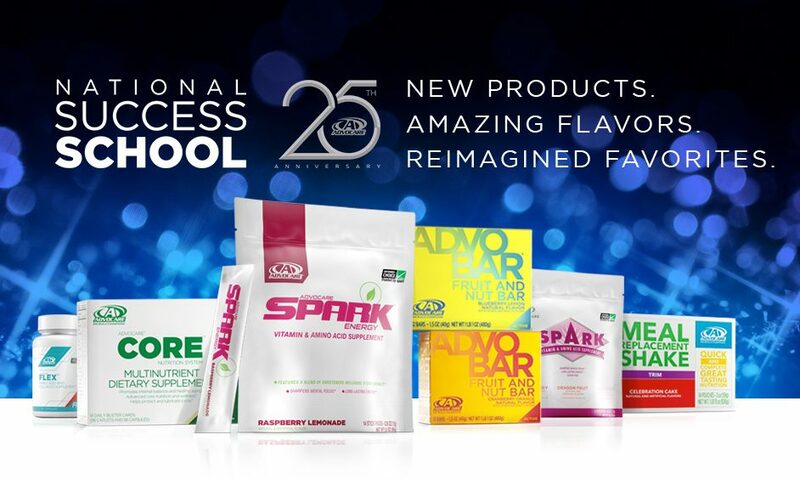 Everyone taking advantage of this amazing weight loss system seems to start with a SPARK. If you haven’t heard it yet, get in touch with us. Spark is AMAZING. It is something that I drink daily. Before being introduced to AdvoCare, I drank at least 2 – 2 liter soft drinks a day… diet drinks… but still it was a lot of them! I haven’t wanted those type drinks in over a year now. I gave Spark a try because I wanted some extra energy and I saw there was an opportunity for being paid for working part time while helping others. My cousin knew that I had an energy drink a day every day – sometimes more. Have you ever looked into all the chemicals that are in those things? Wow! I was shocked to learn some of the ingredients. With SPARK, it’s a low key energy boost. I don’t have any jittery feeling and it gives me great mental focus. The standard 24 day challenge comes with two boxes of 14 packets. That gives you one a day with 4 extras. If you want more energy than just once a day, Get a Tub. It has 42 servings so you will have plenty for those afternoons when you get tired… or anytime when you just need that little bit of extra focus.